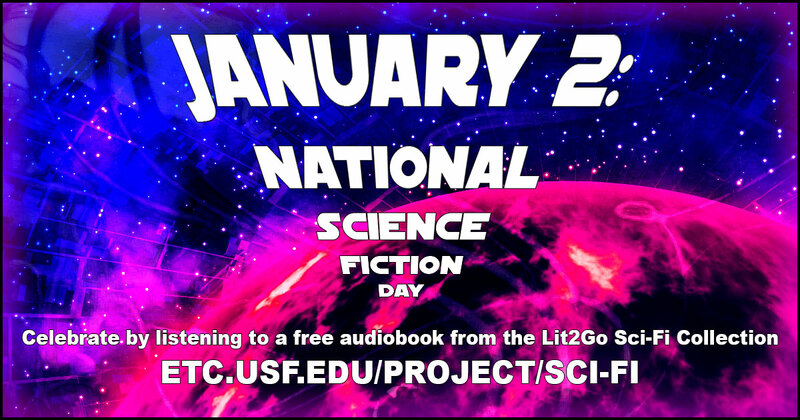 Celebrate National Science Fiction Day by listening to a free audiobook from the Lit2Go Sci-Fi Collection. Use this banner on social media to share these great sci-fi audiobooks. 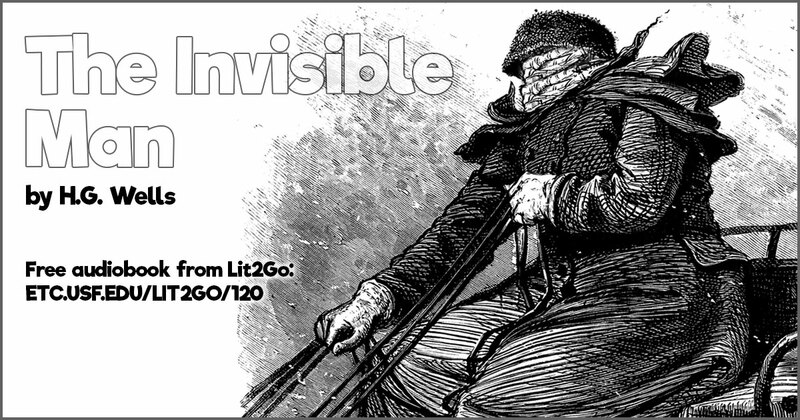 The Invisible Man is a suspense novel by H.G. 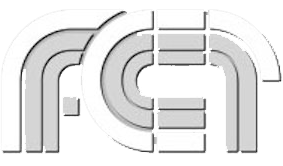 Wells, narrating the tale of “Griffin,” a scientist who undergoes an irreversible procedure, the results of which eventually drive him insane. Available on the Lit2Go website. The War of the Worlds, by H. G. Wells, is an early science fiction novel which describes an invasion of England by aliens from Mars. Available on the Lit2Go website. 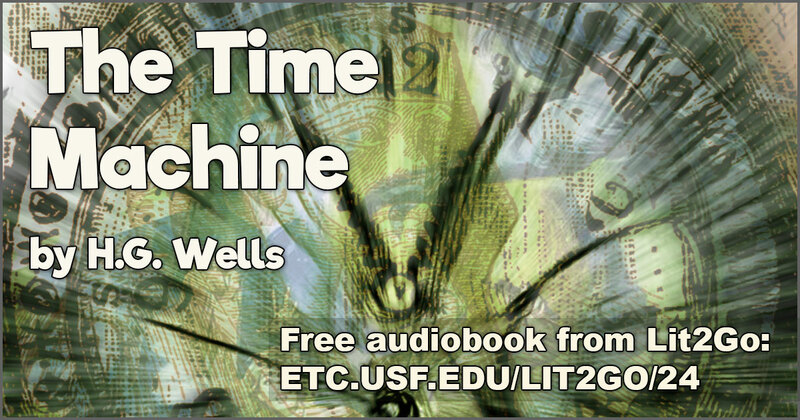 The Time Machine, by H. G. Wells, was first published in 1895. The book’s protagonist is an amateur inventor or scientist living in London identified simply as The Time Traveller. Available on the Lit2Go website. 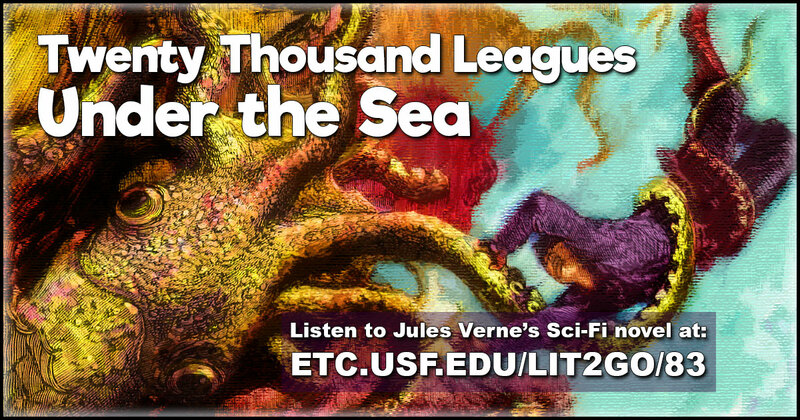 Twenty Thousand Leagues Under the Sea is a classic science fiction novel by French writer Jules Verne, published in 1870. 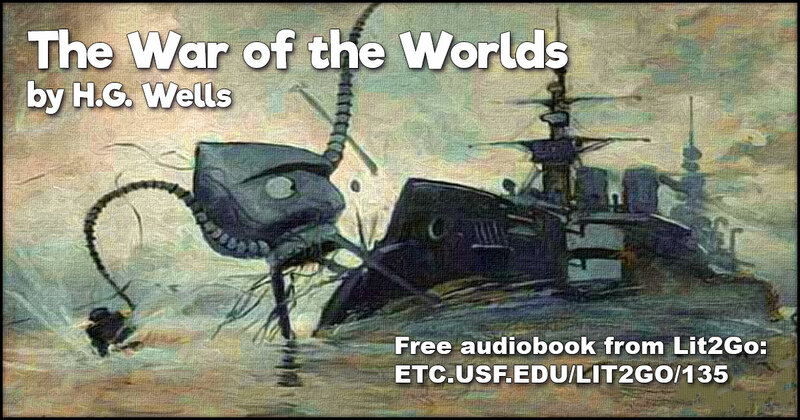 It is about the fictional Captain Nemo and his submarine, Nautilus, as seen by one of his passengers, Professor Pierre Aronnax. Available on the Lit2Go website. 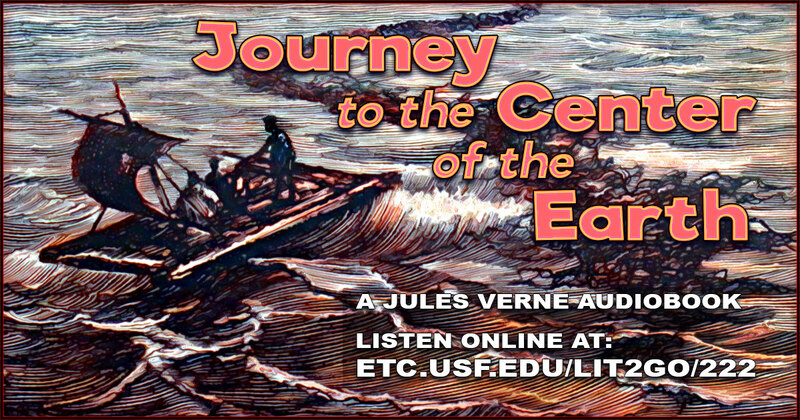 The Journey to the Center of the Earth was originally published in French in 1864, the first English translation of this classic of adventure and science fiction was published in 1871. The book describes the journey of a scientist, his nephew, and their guide through the Earth’s interior by way of volcanic tubes. Along the way, they encounter various threats and wonders, seeing evidence of earlier stages in the planet’s development. Available on the Lit2Go website. 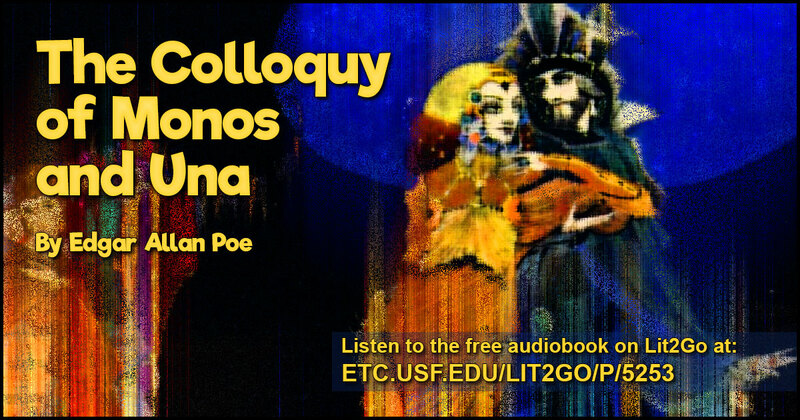 The Colloquy of Monos and Una by Edgar Allan Poe. Monos, who has been dead for some time, describes the experience to Una, who has just been buried with him. Available on the Lit2Go website. 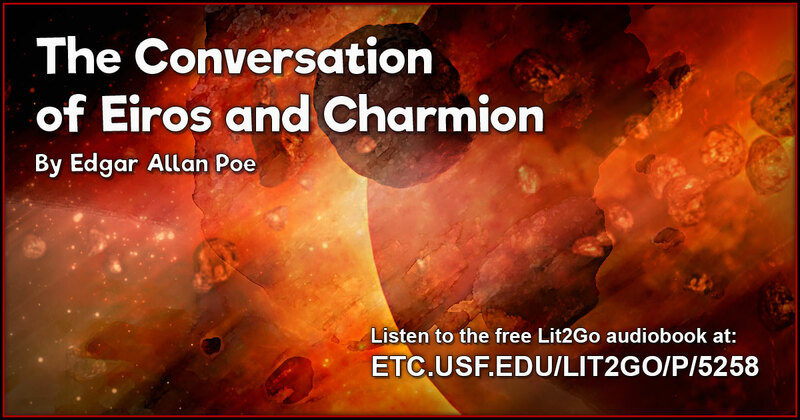 The Conversation of Eiros and Charmion by Edgar Allan Poe. Eiros and Charmion discuss the events that led to the end of life on Earth. Available on the Lit2Go website.